The Advent Calendar of Memories for 15th December was Christmas Tree decorations: Do you have unique decorations that you use each Christmas? How did you get them or were they passed down to you from family members? Do you have certain traditions surrounding Christmas decorations such as purchasing one from every state or country you visit? 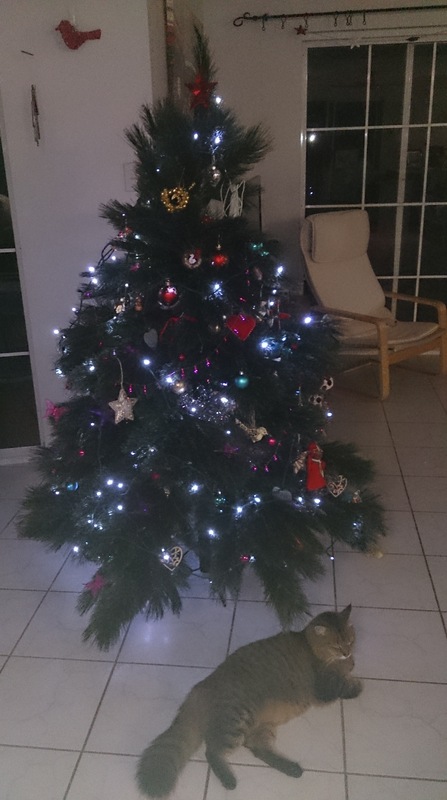 Describe your favourite decorations! Once again I’m behind with the topics. 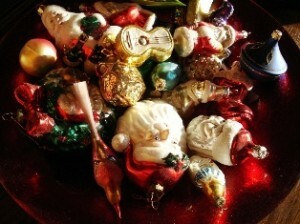 Yes, we have a stash of Christmas tree ornaments that are put up every year in the first week of December. Some are common or garden ones from department stores but many are special ones that we’ve bought while travelling: in Ireland, England, France, Bavaria and Africa. Just as well we often travel around that time of year (another post!) Strangely while we were in the USA just before Xmas once we don’t have any ornaments from there, or indeed from Scotland. Our daughter bought us a beautiful Inuit Christmas ball a while ago but when hers bit the tiled floor a few years ago we passed ours on to her. This year the glue on my Tara bell suffered from tropical melt, and it too fell to the floor. Thank heavens for super-glue, and it’s only missing a tiny piece! We have only one bright-pinks 70s ornament from our very first Xmas trees but when Target had some similar ones a few years back I bought some more in similar colours. It’s always interesting to “tour” our daughters’ trees each year as among their collection are ones we passed on to them when they set up home and we became empty nesters. Craft they made as littlies and some of our Bavarian wooden ornaments from Nuremberg. Hopefully they will eventually pass down to our grandchildren, and at the rate we insist on buying more, despite a total over-supply, there’ll be plenty to go around. A while ago I mentioned I should do an A to Z of our Christmas ornaments which decorate our tree and house. A is for a choir of angels, in all manner of styles. R is for ribbon bows and the reindeer from a gift swap. Z is for the Zanzibari dhow hearts which I bought for the tree. 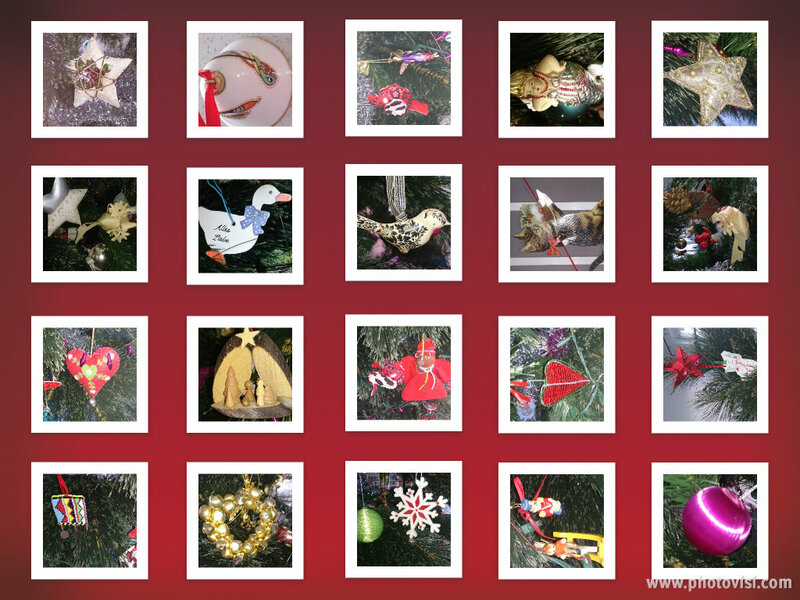 This entry was posted in Advent Calendar, Cass family history, Christmas, Family History and tagged Advent Calendar of Christmas Memories 2013, Christmas decorations by cassmob. Bookmark the permalink. You are so creative with your posts, Pauleen. This is charming. Your list made me remember a little eyore around here that I am going to now make into a decoration. If we ever get that tree and put it up. Happy tree hunting! Hope eeyore works out.